As its title made apparent, the last EASST conference in Toruń Situating solidarities proposed to focus on political issues. Being a political scientist who went astray and tumbled into STS, I was impatient to see how this major theme would translate into papers, and I was not disappointed. While many tracks did, to some extent, make connections with politics, in two of them politics was in the spotlight. This track aimed to shed some light on the role of the state for the co-production of science, technology and society. But interestingly this concern was overshadowed by a more fundamental question – what/who is the state? There is no consensus. The very concept of the state, it seems, is additionally challenged by ever accelerating technological developments, and has to be de-constructed and re-constructed in order to become relevant and operationally useful for STS studies. This important issue was further explored by questioning STS perspectives on the concept of state, the transformation of traditional role(s) of the state in the face of changing socio-technical environments, and the changing relationships between “the state” and “the people”. In a paper entitled ‘Is the state an actor or not?’, Jeffrey A. Knapp and Sarp Yanki Kalfa challenged the view of the state as a plexus of “multiple discrete connected together in complex ways” (Carroll 2006: 4). Instead, their research of the press coverage of 1974 “Cyprus Dispute” shows that, at least in the view of the press, the state is conceived as an actor. Approaching a similar topic from a different perspective, Nicholas Rowland and Jan-Hendrik Passoth, continuing their previous work, focused on the proliferation of “states” in state theory, concluding that “the state” remains a sort of black box in political science. Their investigation of the multiplicity of “the state” was complemented by the Matt Spaniol’s paper ‘The future state: When the future multiple and the state multiple meet’. Papers presented by Astrid Mager (‘Absence and presence of “the state” in sociotechnical imaginaries of search engines’) and Daniela Schuh (‘Reproducing citizenship: Challenges of cross-border surrogacy to the nation state’) questioned the regulatory role of the state in a world dominated by transnational developments. Both papers shared a common theoretical framework based on the notion of “sociotechnical imaginaries” , and used it to investigate how states cope with new challenges, be it universal search engines or transnational surrogacy. Focusing on the issues of governance and law-making, these two papers tried to untangle the difficult relationships between the national and international levels, as well as between technological, political and social actors. Another two papers, interestingly, clearly posited “the state” as something distinct from, or even opposed to, “the people”. From this perspective, “the state” is an alienated entity that acts according to its own particular interests instead of the interests of the people who, presumably, comprise it. Andrzej Wojciech Nowak’s presentation ‘Situating de-solidarities: State as a container and container settlements as an “exception state”’ addressed this very directly. His analysis of the Polish state acting not as the protector of the poor, but as something to be protected from the poor offered a very powerful image. Nowak discussed, for example, how instead of building social housing, state resources were rather utilized to build container settlements heavily under surveillance and certainly more expensive. Keith Guzik’s paper ‘Ni con cola: How agencies give state surveillance the slip in Mexico’ demonstrated that state programmes, even when well-intended, mostly fail as a consequence of not taking into account citizens’ attitudes, institutional arrangements and the various materialities involved. Another interesting question that stems from this paper is whether corporations can succeed where the state cannot. It seems possible that people would trust corporate entities more than government or, at least, that we need to conceptualize these kinds of trust differently. The presentation ‘The center of election – bureaucratic practices at Danish municipal election’ by Anne Kathrine Pihl Vadgaard showed, on the other hand, how, at least in one instance, the people and the state actually do become one. Drawing on Latour’s concepts of centres of calculation and acting at distance, her paper investigates the emergence of democracy through technical and bureaucratic tools. This track was very compact, with papers nicely complementing each other. Compliments are due to the conference organizers, since the track was composed from the papers originally submitted to the Open track section. Three out of four papers focused on the same issue: how groups and social movements are using online tools to debate, organize, disseminate information, make political statements, and, in short, promote their political goals. Marcial García, Pablo Cortés-Gonzáles and Alfonso Cortés-Gonzáles’ ‘Communication, education, and social movements online: New imaginaries, old utopias’, Vasilis Galis and Christina Neumayer’s ‘The reclaiming of online media by civil society: Greece & Sweden’ focused on social movements using Internet to build on their offline activities: protests like in Greece and Sweden or self-organized networks providing services government no longer provides in Spain. Characterized as attempts to control the narrative by reclaiming social media and to find adequate pedagogical tool for organization, debate, broadcast and social mobilization, this online presence was understood as embedded in the totality of movements’ functioning, or as an extension of its offline activities into cyberspace. A key question discussed was the relative efficiency of online activism compared to offline, “real” activism. Ivana Damnjanović’s ‘Hacktivism in Serbia: from patriotic hacking to social media (ab)use’ showed, however, a different course of action; one that starts in cyberspace, and, despite occasional efforts to spill over to offline politics, stays confined to it. In terms of publicity, political influence and overall impact in society, the latter does not seem as a very effective strategy. Inevitably, Morozov’s notion of “slacktivism” was mentioned and, to some extent, challenged. The fourth paper ‘Inside digital music distribution: Changing dynamic and paradoxes of the music industry’ by Hyojung Sun showed that political concerns, such as state laws on intellectual property and stances on piracy, played a role in the development of various distribution models. Building upon the general theme of the Toruń conference, the papers presented at these two tracks showed that STS approaches can be very useful for study of politics in a very broad sense, and that even political science itself can be a viable subject of study for STS. In a sense, these papers demonstrated that STS can indeed be used as political theory . Unfortunately, there seems to be little interest from political scientists to explore opportunities that STS approaches present, since most authors in the field still usually adopt positions of instrumentalism or technological determinism. Carroll, P., 2006. Science, Culture, and Modern State Formation, Berkeley/London: University of California Press. Jasanoff, S. & Kim, S.-H., 2009. Containing the Atom: Sociotechnical Imaginaries and Nuclear Power in the United States and South Korea. Minerva, 47(2), pp.119–146. Latour, B., 1987. Science in Action: How to Follow Scientists and Engineers Through Society, Cambridge: Harvard University Press. Morozov, E., 2011. The Net Delusion, New York: PublicAffairs. Thorpe, C., 2008. Political Theory in Science and Technology Studies. In E. J. Hackett et al., eds. The Handbook of Science and Technology Studies. Cambridge/London: MIT Press, pp. 63–82. 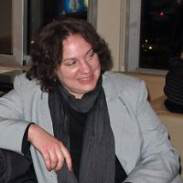 Ivana Damnjanović is Assistant Professor at Faculty of Political Sciences, University of Belgrade. Her research is focused on mutual shaping of technology and politics.